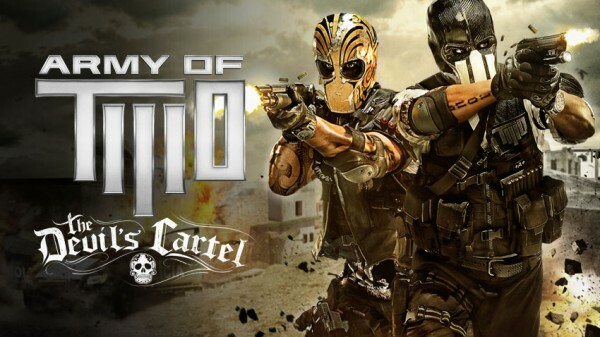 Army Of Two: The Devil’s Cartel – A Fun Game! 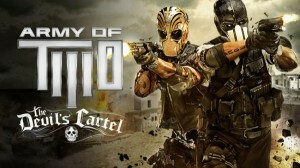 Army Of Two: The 40th Day was the first game I played through entirely co-op and it was a blast. In the 3 1/2 years since, I’ve played a lot of games. But going back to this series was an exciting prospect. Then the reviews came out. 4/10 some deemed it. A 4/10??? I’m trying to think of games I’ve played that might be that bad. Aliens: Colonial Marines? Perhaps. In all seriousness, the 3rd Ao2 game was fun. Playing online with a friend, our connection was better than most recent games (a testimony to its poor sales?) but we busted through the whole game over the course of several sessions and loved it. Destroying everything in Overkill mode was a blast. The driving sequences were fun. The game sounded incredible. Sure it wasn’t the most inspired game ever. However it achieved the purpose set forth by its design: A great-playing co-op game. This was a ton of fun, screw the naysayers. New Cubes Get: Cheap Ones!!! I purchased a pair of new cubes this past week on eBay. The first is a pretty standard 2x2x3. Now, the box said it was a Z-Cubes cube, but I’m thinking it’s a Lan-Lan due to the color scheme. It’s identical to that of my Lan-Lan Void Cube. As a puzzle, it’s pretty straight forward and standard and more of a filler piece than anything else. The other cube is a DianSheng Diamond Tank (listed as Crystal Skewb online). This one (shown to the left) is actually a very cool. 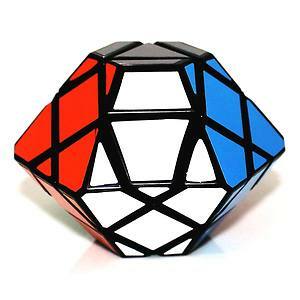 It’s a 3x3x3 shape mod to make a 14-sided puzzle, adding grey as the last two colors. This can have parity but is otherwise an identical solve to a standard 3x3x3. However, it’s a very neat spin on the classic and I’m pretty happy to have added it to the collection.